The Annual Web Resources report is now ready! 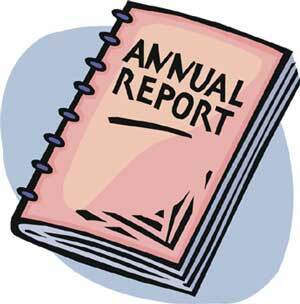 You can download the 2013-14 Web report here! As you will see from the report, the main accomplishment over the past year was the move of this web site to WordPress, where we are able to bring our blog and our web site together! One of the big benefits of this shift is that the web site is now accessible for broad participation of all INANE members. Everyone can subscribe to this blog, and anyone can comment at any time, And to be part of the team that updates our pages and contributes to content on the blog and on the web pages, you only need a bit of orientation to WordPress – which Leslie Nicoll and I are eager to provide! Here are the specific “jobs” we hope you will consider! Facebook content/photograph management – at least one person can take on this very fun task! Facebook provides a nice way to organize photos into albums. A number of pictures were uploaded during the website transition. We’d like to recruit a photo archivist to upload pictures, maintain the albums, and identify/label the people in the photos. Bloggers – it would be ideal to have one to three people to form a blogging schedule so that our blog has regular posts on a variety of topics. If you are willing to be involved with any of these activities for the coming year, please let us know by completing our contact form. We would be delighted to hear for m you now, and to announce your joining our team at the annual meeting! This entry was posted in Administrivia, Annual Conference and tagged annual meeting, WordPress by peggychinn. Bookmark the permalink.